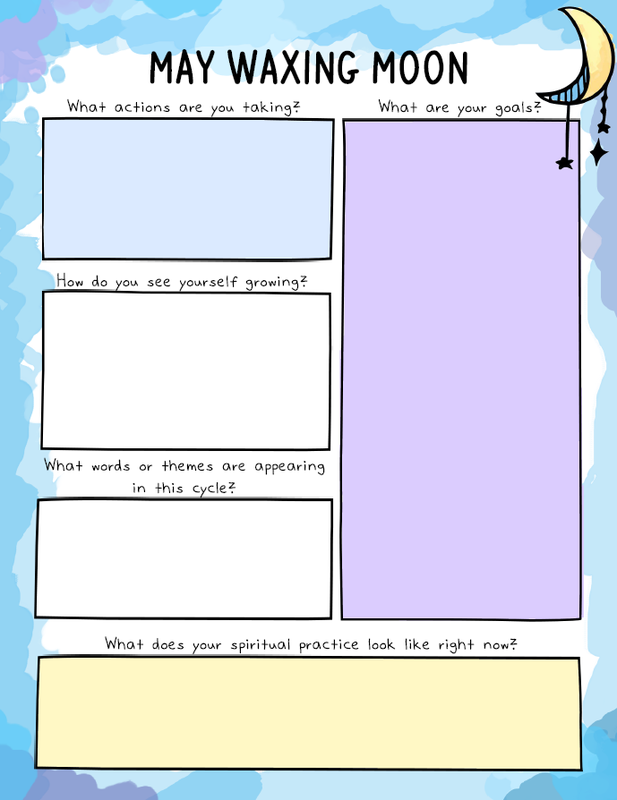 If you've purchased the 2019 Self-Love Workbook Witch version, then you know how much I love to incorporate my spirituality into my self-care practices and vice versa. I've committed to focusing more on my spirituality this year and part of that means honoring and celebrating the cycle of the moon. 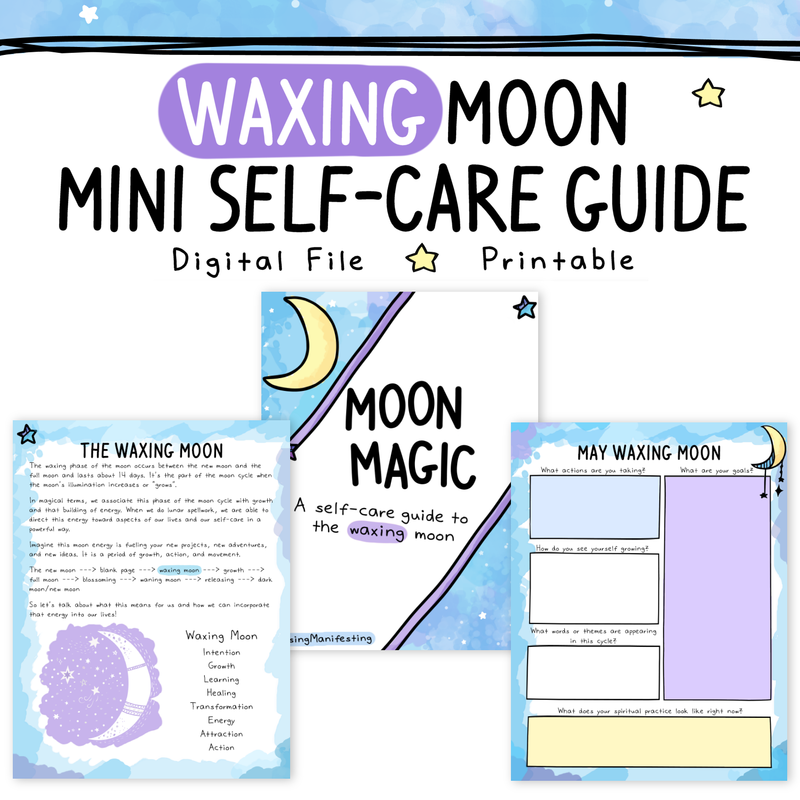 My Mini Moon Guides to Self-Care explore how to incorporate the energy of each moon phase into your practice. 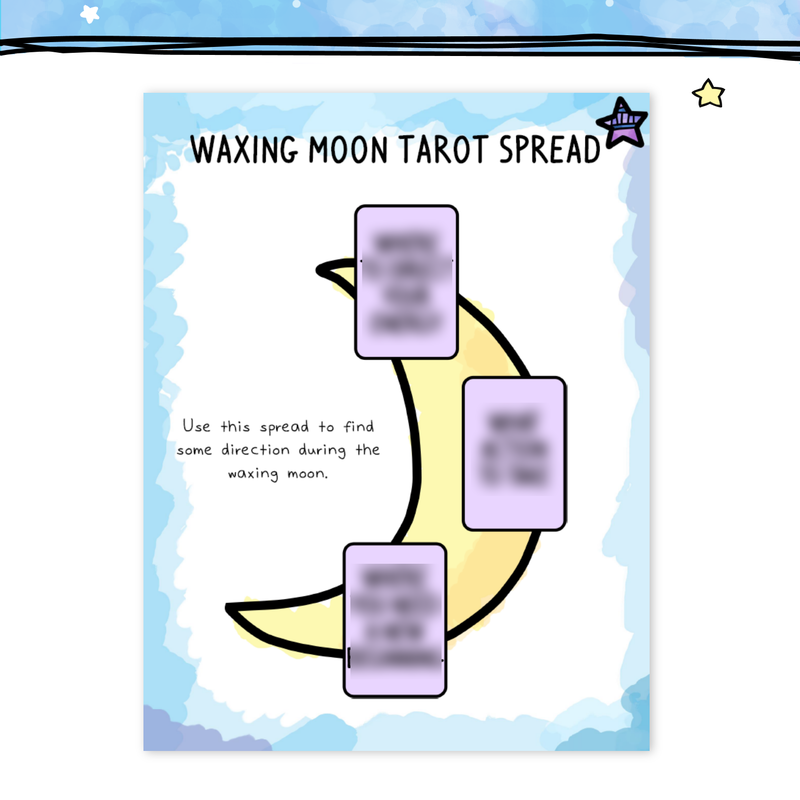 They'll be released one at a time and right now the Waxing Moon guide is available! You're getting two digital .pdf files! One is in full color and the other one is in black and white for easy printing. Both have digital fill-in enabled which means you can fill them out from your computer using Adobe Reader. The color version is 33 pages (with 6 blank journaling pages). 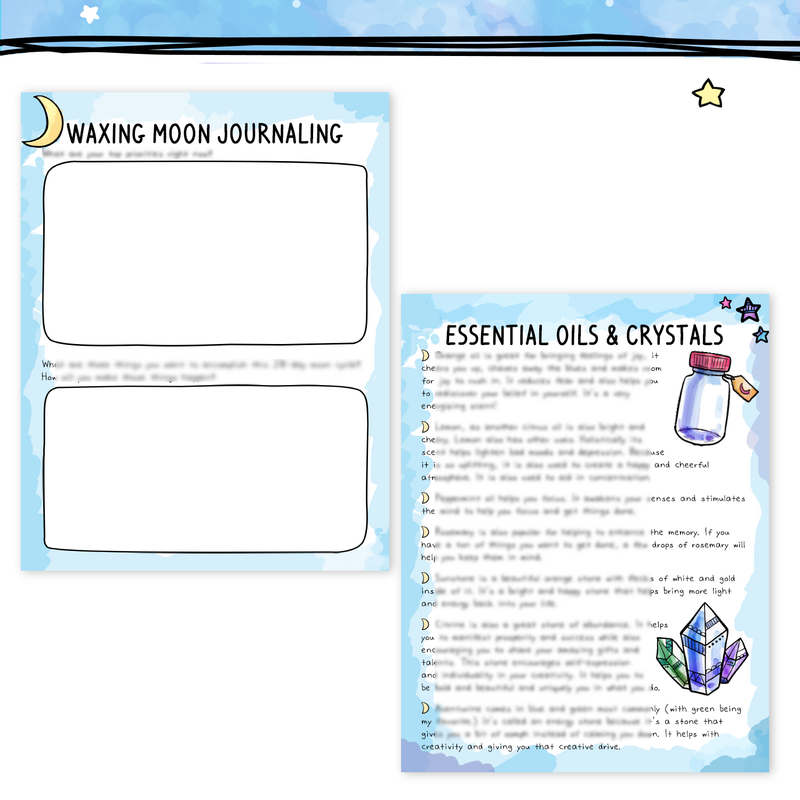 Purchase the Waxing Moon Guide!